When you talk about manufacturing jobs to people they don´t think about high status work despite the fact that the dirty industrial jobs are gone. Today, many industrial jobs are qualified. 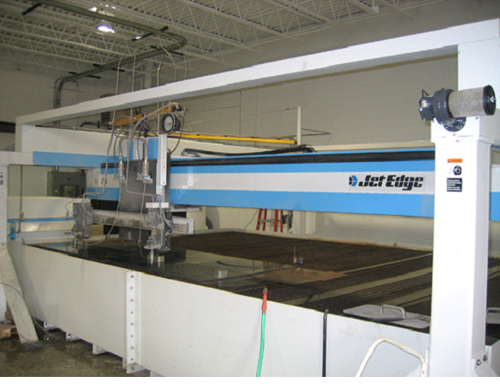 As industrial workers, you might be an operator and perhaps manage a CNC machine. Cutting machines of various types but also with newer type technology as waterjet cutting and plasma cutting machine. You must be able to read CAD drawings and so on. Industrial work has become increasingly high-tech. Quality is extremely important, demands are high, complaints costs too much. Are you working with an assembly industry, you need to be dilligent and careful. An airbag must not be mounted in a wrong way, it must work when an accident happens. The interest is not so great and it's been moore popular to search on Handicraft program to become a hairdresser. Thinking of that, these "gurus" who travel the length and breadth of our country and say that we have left the industrial society and entered the knowledge society and to talk about the industry as something that belongs to yesterday, have a great responsibility. They speak so disparagingly of jobs that are important to society. And think about all the others who just repeat this. We had a little guru to visit the school that put knowledge and innovation in contra st to each other. As he said knowledge we can buy cheaply in Asia but we must be innovative in order to compete. But isn´t it just so that innovative people also tend to be very knowledgeable people. Why not rather say that as in the second article of Kairos Future, where they promote the idea of "industry .... as the basis for a high-tech knowledge-based society"
The picture shows a water jet cutting machine for cutting plastic, rubber, steel, fiberglass and aluminum discs. A thin beam with high pressure water cutting through the material. The machine must be programmed with the help of a computer. An elegant way to cut various materials with water.